Another day, another Blockchain project announcement. While Toyota, and other manufacturers including Daimler, have previously emphasised the potential to track their complex supply chains with blockchains, Toyota is now collaborating to create open source blockchain-based systems and insurance products for their own autonomous cars. The move underlines the how any disruption caused by Blockchain’s rise will not be confined to individual sectors. The momentum of the distributed ledger technology, already the darling of financial services, venture capital firms and central banks, continues to be driven by experimentation. Interested parties have formed consortia of companies ranging from tiny start-ups to multinationals. Established insurers, including the fifteen members of the Blockchain Insurance Industry Initiative (B3I), are enthusiastic participants. 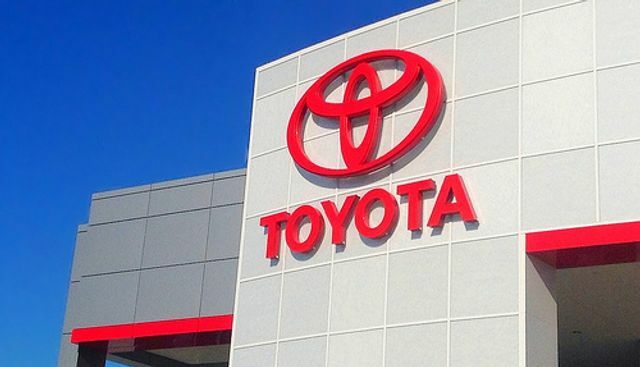 While a scalable and commercially viable blockchain product remains unrealised, Toyota’s announcement of their own consortium highlights the relevance of the technology across value chains, enabling new cross-sectoral projects and products. The appeal of blockchains are their ability to securely coordinate and automate data flows. Allowing for the limitations of existing systems, this still offers an opportunity to integrate emerging technologies that rely on access to sensitive data. Therefore, of all the technologies driving the “fourth industrial revolution”, Blockchain is uniquely placed to enable disruption. The benefits of a Blockchain solution, including built-in data integrity, resilience and security, support collaborative initiatives where a diverse set of companies need to selectively share data in real time. Toyota’s project aims to incorporate artificial intelligence, payments and insurance platforms with its vehicles. Blockchains can also provide reliable data sharing for other advanced systems, facilitating new products and business opportunities. These could incorporate machine learning systems or Internet of Things (IOT) data, for instance. Toyota’s consortium illustrates how a company could leverage blockchain to branch into new sectors, including insurance. The consortium includes Toyota’s own telematics insurance company and Aioi Nissay Dowa Insurance Services. They will work on the sensors and insurance platforms respectively, developing new methods to automatically set insurance premiums. The fusion of data generated by the car, existing operational expertise and blockchain technology may allow manufacturers to measure, and lower, both risks and costs more effectively through automation, informing new insurance products. While car manufacturers are naturally well placed to apply emerging technologies to the automotive industry, blockchains could blur the already porous boundaries between sectors, including insurance. The proliferation of consortia has shown that the development of Blockchain is an increasingly cross-sectoral process. Insurers have already bought into the technology, funding startups and joining consortia, in order to buy a stake in any disruption. Toyota’s case highlights both the potential of blockchains to simplify insurance services, and their threat to existing incumbents and business models. Toyota Research Institute, a wholly owned unit of Toyota Motor North America, said on Monday it has teamed up with MIT Media lab and five other companies to explore blockchain technology for the development of driverless cars. The project would enable businesses and consumers to securely share data on testing and driving as well as the sharing and usage of such cars to help set insurance rates, Toyota said in a statement.